Read more about the introduction & why we chose Brainfit Studio for Mini C HERE! We would like to keep track of Mini C’s progression in class & share them with all of you: through regular observations of our baby’s achievements. 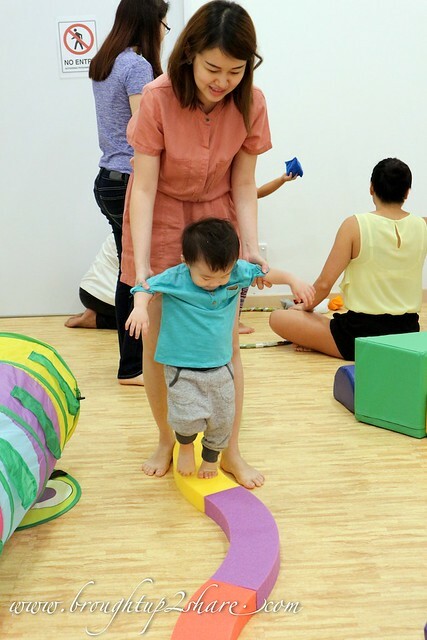 After 4 classes at Brainfit Studio, we personally thought that they have helped enhance Mini C’s development through play and learning & also encourages exploration. 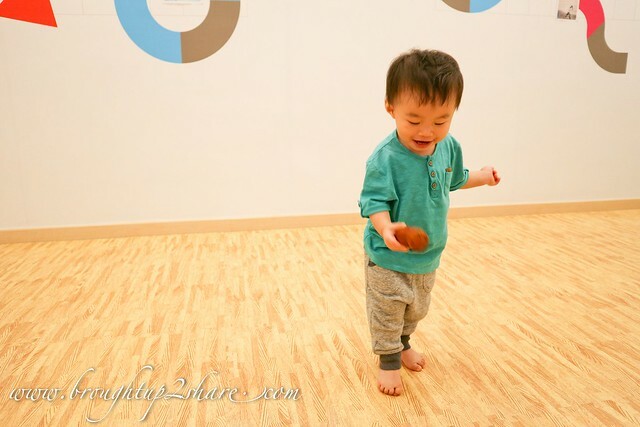 Their classes are interactively joyful for Mini C as well as for parents like us as they utilize obstacles, song, dance, play and breath work with a variety of stimulating props, instruments, and activities. I thought that activities like these can nurture and foster their growth while honouring their process and individuality. These classes also gave me more confidence, knowledge, and support to support self esteem and self awareness while encouraging deepening bonding and attachment. 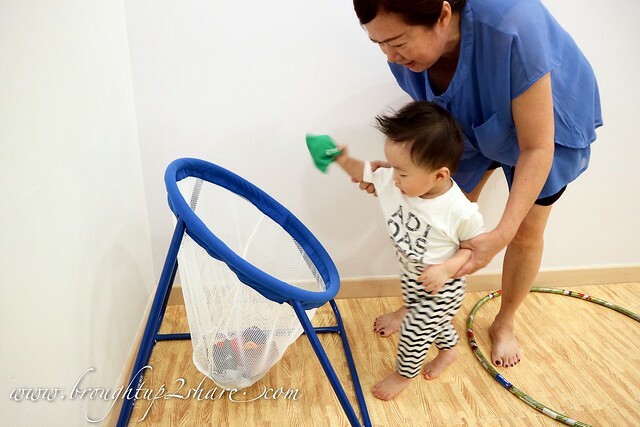 Still wouldn’t let go his Blue & Yellow beanbags when asked to throw them into the basket. I’m glad he’s paying attention to what the teacher reads and try to participate when asked to touch it. But we’re glad that he’s sitting still and trying. He loves the Glow-in-the-dark coloured rice! Keep sprinkling them up and around. And when it’s time to turn off the lights, he’s still happily playing with the rice! Hehe. Attention-paying span lengthens! Clap Clap! 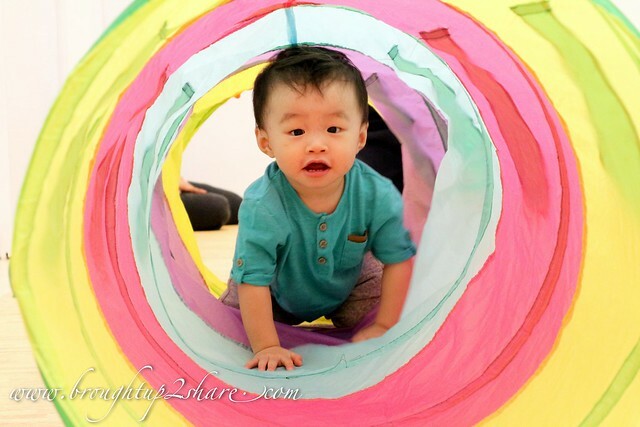 So much fun through the colourful caterpillar tunnel! Balancing with him on the rainbow trail! I think he’s still ignoring instructions. Yikes. Sitting further away from him this round and he did well till Teacher Celest are done with the flashcards. Haha. 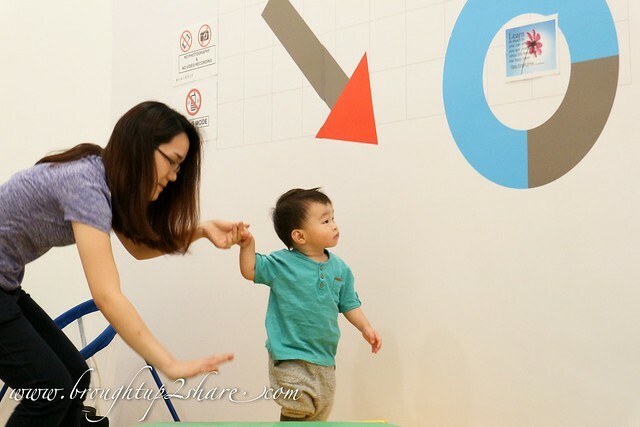 To work on his Attention & Working Memory – connecting the coloured trains in accordance to Teacher Celest’s instructions. Again, he only chooses blue and yellow! Finding solutions to overcome this “problem”. This has become quite a problem as he refuses to even grab other colours. Trying to figure out the matching shapes of the sea animals. However, he’s still not very keen as he keeps grabbing the cards away instead of putting them on the board. 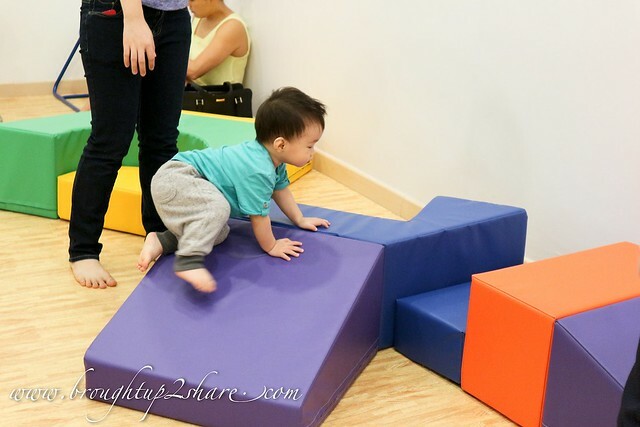 **BrainFit Studio is offering FREE TRIAL CLASS for their newly launched Baby & Junior programmes! Call them for more info and appointments. Mini C joins Brainfit Studio Malaysia!